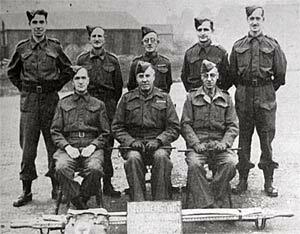 When 1st (Loyal City of Exeter) Battalion Devon Home Guard was formed in 1940 Exwick came within 3 later C Company. (St. Thomas) which had responsibility from the River Exe to Cowley Bridge. The majority of Exwick volunteers were in this Company and 6 later E (GWR) Company based at St. Davids Station. For most of its existence C Company was commanded by Major Tom Greenslade D.C.M. 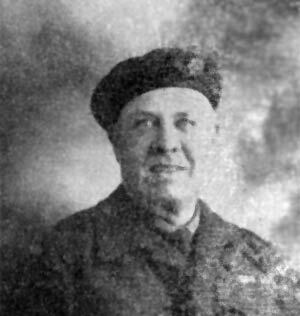 while Major C. R. Panes led E (GWR) Company. C Company was allocated Wednesday as Drill night. Initially, only 60 borrowed rifles from Exeter School OTC and a very few old weapons were available. The rifles were used for training during the evening and then taken by car to the Guards. At 06.00 hours, they were returned to HQ ready for training that evening. After some time C Company obtained the use of a room at John Stocker School as HQ for evenings only. This was not satisfactory as scholars used it during the day and nothing could be locked up. Later they took possession of Drakes Garage Haven Road which they used for the rest of the War. In September 1940 there was a ‘Stand To’ as a state of emergency was declared because of fears of an imminent invasion. These fears receded somewhat when the Royal Air Force had won the Battle of Britain. For 10 days observation posts were manned during the hours of darkness by the Home Guard who complained this allowed the Regulars to go to the pictures. At the beginning of 1941 the Battalion started to dig trenches and set up barbed wire. C Company had responsibility from Pocombe Bridge, North-East to Exwick Mills and E (GWR) Company from the South Devon Railway Bridge to Cowley Bridge. This work was done on Sundays, but once in January, C Company held a Church Parade at Exwick Church instead; while E. (GWR) Company had their Church Parade at Cowley Church in February. In the Summer, Sgt. R. B. Newman of C Company was involved in the rescue of a small boy who had fallen into the Exeter Canal near Double Locks, returning him to his mother, ‘little worse for his immersion’. Training continued and in May there was a Battalion Exercise in which C Company acted as one of the attacking forces. However, the major exercise in 1941 was held on the night of 25 October. In April, the trenches and barbed wire defences were almost complete. This coincided with the start of the blitz of the City. The Luftwaffe first attacked on the night of 25/26 April. 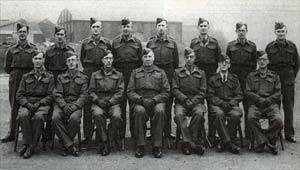 Many of the Home Guard spent the next Sunday in organised parties looking for missing people. Unfortunately, this was the precursor for the main blitz in the early hours of the 4th May which left the City centre in ruins. The Battalion suffered a total of nine killed and three injured that night; none of whom were in C Company but one served with E (GWR) Company. Pte. D. H. Bird, who was 17, was killed taking shelter on his way home from his first guard duty. In one incident, volunteers formed a bucket chain to quell a fire. They were told there was tea, milk and sugar but no gas. Whereupon someone took up the kettle, put it on the end of an iron pole, and thrust it into the flames, so all had their drinks. The biggest Exercise was a whole weekend affair. The Parish Institute at Exwick ‘was hired for 24 hours on 10/11 October for the Exon Exercise, the fee being paid equally by the Home Guard and WVS and the fee included the cost of gas and light consumption during that 24 hours’, as shown by an entry in the Institute’s Minutes. Further use was made of the Exwick Parish Institute when the E (GWR) Company hired the Hall on 7 November for a Social for their members with C Company following suit on 18 December. On 16 May 1943 there were celebrations for the third anniversary of the Home Guard, and it was also the day the Civic Authorities presented the Battalion with a ‘Colour’ which, with permission, bore the crest of the Devonshire Regiment. All Companies marched to the County Ground St. Thomas independently for the ceremony. The ‘Colour’ was used on formal occasions during the war and it is now flying over the Altar dedicated to the Devon Home Guard in St. Mary Arches Church in Exeter. More time was used for fund raising and social events although Exercises and Church Parades still continued. In October Devon Sub-district of the Home Guard held a First Aid Competition. The Battalion held an internal competition which C Company won, and they competed at the Final where they put up a creditable show but did not win. Year end Socials were held. At the C Company event Major Greenslade presented Pte. E. Patton with an inscribed plaque for good work relating to the rescue of a horse, and in return was presented with a framed drawing of the incident. Early in 1944, E Company was reorganised as a Light Anti Aircraft (A. A.) Troop, with the training being carried out by the local A.A. Brigade. Sunday 5 February was another date for C Company to attend St. Andrew’s Church Exwick for morning service. A collection for the Merchant Navy Comforts’ Fund raised more than £10. C Company had also raised in excess of £70 for the Red Cross since 1940. In April orders were received to man all vulnerable points with picquets at Battalion and Company HQs. The whole of the South of England was locked down in the run up to D-day, as the Allied invasion force prepared to cross the Channel. Every member of the Home Guard had to undertake 48 hours duty per week, so training was suspended. The picquets were taken off on 1st July, when the bridgehead in Normandy had been established after D-day. A number of parades continued to be held, including one for the 4th Anniversary of the Home Guard. However, the officers seem to have spent the majority of 1944 holding dinners, to some of which the Ladies were invited. ‘Stand down’ started on 1 October and was completed by the end of 1944. Thus ended the saga of the real life Dad’s Army who volunteered to defend their City. Major T Greenslade DCM. Officers of C Company (St Thomas). C Company First Aid Team.